You know it’s a big thing when our local newspaper finds space amongst all of the ads to print a story about food safety. But there it was in yesterday’s morning paper: the FDA used new authority under the Food Safety Modernization Act (FSMA) to suspended the registration of a peanut butter production facility. 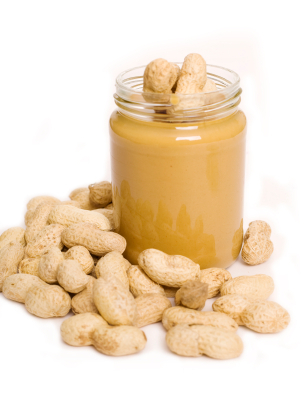 The details of the story relating to salmonella contaminated peanuts can be found here. The tainted products were sold through a number of retailers including Trader Joe’s, Whole Foods, Kilwins Quality Confections, and Target. It’s a tragedy and its great that the FDA stepped in and shut the place down until issues are resolved. Because of the FSMA, the FDA now actually has the authority to shut the violator down as opposed to recommending voluntary recalls (which was it’s limitation of authority prior to the FSMA). Retailers should be as supportive as possible to do anything they can to improve food safety and managing recalls. It’s their brand on the line when customers get sick from eating foods purchased at their store. (You’ll remember the names Trader Joes, Whole Foods and Target a lot longer than SunLand (the peanut butter company) after you’ve read this article.) We need to trust our grocers and we need to know that they’re taking all possible measures to protect our safety. It is a complex law and it will take time to implement but many feel that, with the 2012 Presidential Election now behind us, things will pick up speed and producers, growers, shippers and retailers will need to focus more aggressively on addressing new traceability and food safety requirements. The Food Safety News article explains that: The five major pillars of the FSMA will help pivot the nation’s food system from taking a more reactive to a more preventative approach to food safety. If they [the FDA] reduce foodborne illness rates by even a fraction, they have the potential to save Americans billions of dollars in healthcare costs every year. – Preventive controls: FDA will require science-based preventive controls throughout the food system. This includes requiring food facilities to write preventive control plans, establishing minimum standards for safe production of fruits and vegetables and introducing regulation to help prevent intentional adulteration of food at vulnerable points in the food chain. – Inspection and compliance: FDA has new authority to conduct inspections. FDA will inspect all high-risk domestic facilities every three years, have access to facility records and will establish a laboratory accreditation process for third-party testing laboratories. – Response to violations: FDA will now have the authority to order food recalls – as opposed to recommending voluntary recalls as it does now – in cases of contamination. Farms will also be required to track their product and develop plans for how to issue recalls, though small farms that sell the majority of their product locally (within 275 miles) and sell less than $500,000 a year in product are exempt. – Oversight of imports: Food importers must now verify that their facilities and preventive controls meet U.S. standards. FDA can now deny food from foreign facilities entry to the U.S. if the facility does not allow access to inspectors. – Collaborative partnerships: Health agencies, both foreign and domestic, will work collaboratively to improve public health goals. FSMA provides FDA with a grant to develop state and local health agencies’ ability to improve food safety at a localized level. FDA will also develop a plan to help improve foreign industries’ ability to meet U.S. food safety requirements. Addressing food safety regulations and traceability doesn’t have to be viewed as a cost of doing business but rather viewed as an opportunity. By combining a proactive approach to managing the supply chain – using pallet-level temperature monitoring – the industry can significantly reduce waste and generate more revenues and effectively get traceability for free. If we work together, it can be a win-win. You can learn more about our solution for improving quality and traceability here. PS: If you’re interested in reading more about the FSMA, there’s a good summary here. This entry was posted in Food Safety, Perishables and tagged Food safety, Food Safety Modernization Act, FSMA, intelligent pallets, salmonella, temperature monitoring, traceability, track and trace. Bookmark the permalink.